Exterior Painting Madison|Deck Staining Madison|Fence Staining Madison|Painting & Staining in Madison. Have you ever explored the vast color ranges from light to dark, contrasts such as warm and cool colors, the various shades of grays, neutrals, earth tones and more? Perhaps search for articles and photos featuring ways to select paint colors, and social media sites like Pinterest or Instagram, OR simply start with colors you love. There are so many great paint colors, paint color selections, and paint color combinations! We want customers and everyone to like and feel happy about the paint color choices in all rooms of the house, and even in business and office spaces. Try to have fun with whatever amount of time and effort you feel like putting into selecting paint colors. For Boomerang Badger Painting customers, I occasionally recommend working with a paint color consultant. Color consultation services are available at local paint stores and by appointment at your home or property. The feedback I have received from many Boomerang Badger Painting customers is great, and after the painting is done I consistently hear praises about the color consultation for the great results of the color selections. 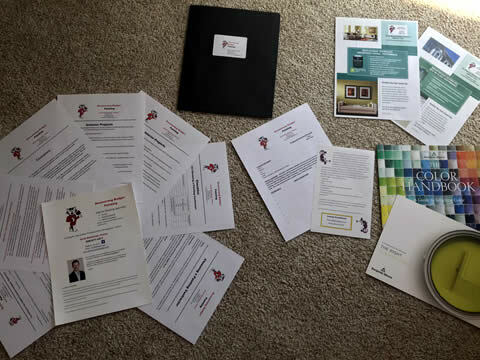 As your painter and service provider, I can offer advice and will provide a job folder with info about paint color selections and links for paint color consultation help available. My clients love working with me because I’m enthusiastic, easy to talk to, and because I know how to make a dramatic change for a modest budget. I have lots of tricks. Call me and I will bring the colors you love into your home. Our professionally trained In-Home Color Consultant will meet you in the comfort of your home to help you choose the perfect colors. Our goal is to help you create a space that you will love. During the 90-minute in-home visit, you In-Home Color Consultant will create a custom color palette that fits your decorating style. You will also receive product and overall project advice that will help give your space a professional, finished appearance. 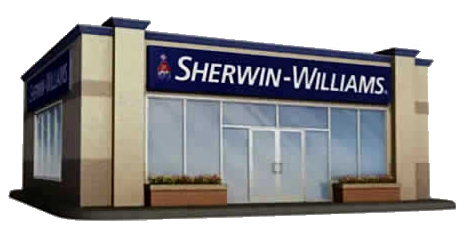 If you are a member of our PaintPerks program, when you purchase your $95 color consultation, you will receive a $50 Sherwin-Williams gift card to use toward the purchase of your paint and supplies. Prior to your in-home consultation, your In-Home Color Consultant will call you to gather important information about your unique decorating style, as well as the specifics of your project. Try one on us! If you’d like to test your color choices before purchasing your paint, you’ll receive a coupon for a buy-one-get-one-free paint sample. We want to make color selection as simple as possible. With the professional advice of an In-Home Color Consultant, we will provide you with a positive experience that takes the guesswork out of color selection. 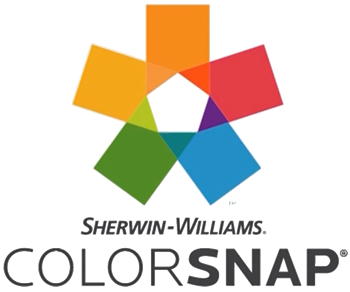 That’s what you get with a ColorSnap In-Home Consultation, only from Sherwin-Williams. Piper Vollmer has been working professionally with color for over 15 years. Drawing on a Masters of Fine Arts, she employs traditional color theory and 12 years of design experience to create sophisticated, harmonious schemes for a broad variety of spaces. Whether you are hoping to create an on-trend space geared for maximum resale value or looking to customize your forever home, Piper will work closely with you to refine and realize your vision.